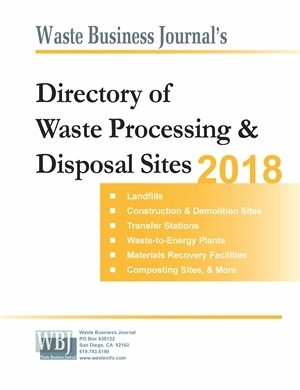 The editors of Waste Business Journal are pleased to announce the latest release of the highly acclaimed Directory of Waste Processing & Disposal Sites 2018. This is a powerful marketing and analysis resource and it is your guide to over 9,000 waste processing and disposal operations across the US. The Directory of Waste Processing & Disposal Sites, now in its twentyfirst edition, is the most up-to-date and comprehensive directory yet, and the only one of its kind in the industry. 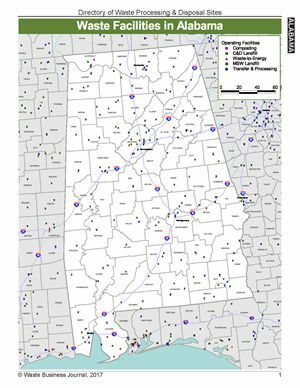 It gives you detailed profiles of all waste processing and disposal facilities in the US, including landfills, construction and demolition facilities, waste-to-energy plants, transfer stations, materials recovery facilities, composting sites and more - over 9,000 individual facility profiles. Data in the book, which comes in hardcopy as well as electronic format, includes the name and location of each facility, types of waste accepted, the prices charged and volume of waste received, the market area served, days and hours of operation, whether served by rail or waterway, operating capacity or remaining capacity (if a landfill), startup and closure dates, and the names, addresses and phone numbers for both the owner and facility operator. The information in this book is not available anywhere else. Our researchers gather this data through direct telephone survey of owners and operators, saving you time and money. The data is up-to-date as facilities are surveyed regularly, larger ones every six weeks. Moreover, we compare the data with any that might be available from various state and federal regulatory agencies to give you the most comprehensive analysis possible. Who can benefit from the Directory & Atlas of Waste Facilities? Waste management and equipment companies concerned about their markets, their customers, their competitors and areas of potential growth. 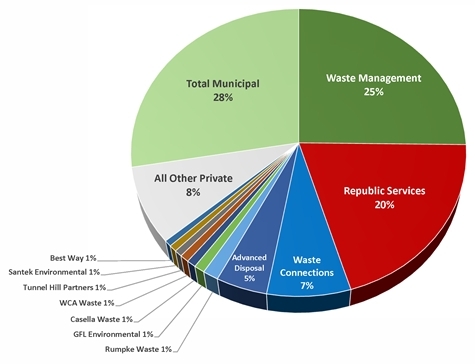 Municipal governments need to assess and compare their own operations as well as to know what others are doing and to know their waste processing and disposal options into the future. Financial institutions with a stake in the industry now have a tool for tracking and analyzing capacity, supply changes, capital investments and pricing. Industry stakeholders who need to better understand this important and changing industry. Detailed profiles of over 9,000 waste processing and disposal operations. Subscribers will have access to online updates for 12 months following the purchase date. Book and CD-ROM package: $1595. The Directory of Waste Processing & Disposal Sites comes in hardcopy and on CD-ROM. The CD-ROM contains Acrobat, Excel and database formats of the Directory & Atlas and contains Arcview shape files of each map layer. Purchasers are entitled to one year of product updates through WBJ's website. 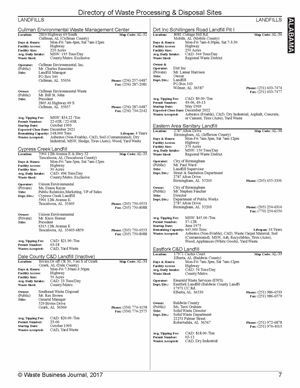 View print and download search results, including acceptance volumes, pricing, contact information, operating capacity, and more. Existing customers receive notice of updates as they become available and have the option to download them directly from the website or have them emailed or receive a CD-ROM in the mail.